Also serving communities of Avon, Avon Lake. There are 13 Memory Care Facilities in the Westlake area, with 6 in Westlake and 7 nearby. The average cost of memory care in Westlake is $4,596 per month. This is lower than the national median of $4,650. Cheaper nearby regions include Rocky River with an average starting cost of $3,262. To help you with your search, browse the 19 reviews below for memory care facilities in Westlake. On average, consumers rate memory care in Westlake 4.4 out of 5 stars. Better rated regions include Strongsville with an average rating of 4.4 out of 5 stars. Caring.com has helped thousands of families find high-quality senior care. To speak with one of our Family Advisors about memory care options and costs in Westlake, call (855) 863-8283. Westlake is a small, relaxed suburban city about 12 miles from Cleveland and has been named the third best city for retirees in the state. Westlake has a sizable population of seniors, with about 22 percent of the population made up of people age 65 and older. About 220,000 Ohio residents are currently diagnosed with Alzheimer's disease, so access to memory care facilities is an important consideration for families in areas of the state with a high percentage of older residents. To cater to the large population of seniors in Westlake, there are 12 memory care facilities nearby, including six within city limits. 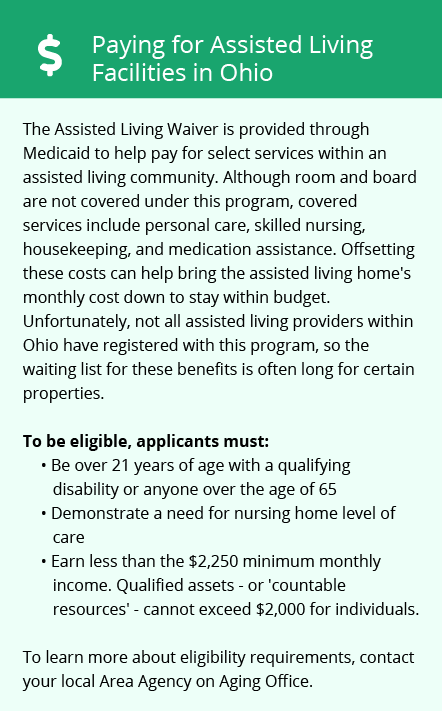 In Ohio, memory care facilities are regulated in the same way as Residential Care Facilties (RCFs) with no special licensing provisions for facilities catering to patients with Alzheimer's disease and other types of dementia. Families considering memory care for a relative with dementia should ask about the facility's specific experience caring for these patients and the services available. Westlake is home to world-class medical facilities, including those specializing in brain health and dementia care such as University Hospitals St. John Medical Center, in the event of medical emergencies or illness. The weather is wet and cloudy year-round in Westlake, and winters can bring extreme cold and significant snowfall. Families considering memory care facilities in the area should ask about provisions to protect residents from extreme weather and what measures are in place to prevent residents from wandering off into dangerous conditions. The cost of living in Westlake is 11 percent higher than the U.S. average and 23 percent higher than the average for the state of Ohio, which could be a concern for families budgeting for memory care services. However, the cost of health care in Westlake is 18 percent lower than the national average and slightly lower than the state average, so this could help make up for any higher costs in other areas. The air quality in Cuyahoga County, where Westlake is located, could be an issue for seniors with respiratory problems. The American Lung Association gives the county an "F" grade for ozone levels and annual levels of particle pollution, although the levels recorded for both ozone and particle pollution have been decreasing rapidly over the past decade. Memory Care costs in Westlake start around $4,596 per month on average, while the nationwide average cost of memory care is $4,799 per month. It’s important to note that memory care rates in Westlake and the surrounding suburbs can vary widely based on factors such as location, the level of care needed, apartment size and the types of amenities offered at each community. Westlake and the surrounding area are home to numerous government agencies and non-profit organizations offering help for seniors searching for or currently residing in an assisted living community. These organizations can also provide assistance in a number of other eldercare services such as geriatric care management, elder law advice, estate planning, finding home care and health and wellness programs. To see a list of free memory care resources in Westlake, please visit our Assisted Living in Ohio page. 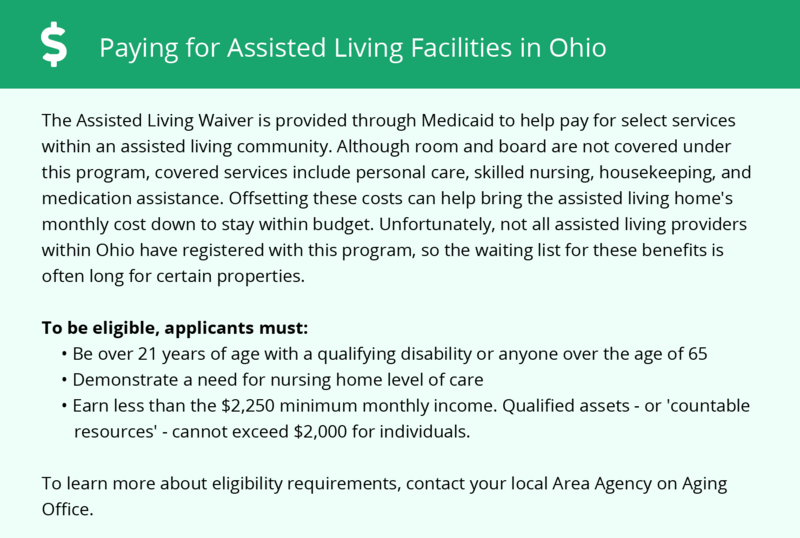 Westlake-area assisted living communities must adhere to the comprehensive set of state laws and regulations that all assisted living communities in Ohio are required to follow. Visit our Memory Care in Ohio page for more information about these laws.